A citrus-y, light and elegant no-age-statement single malt Scotch whisky from the distillery on the Isle of Arran. The Lochranza Reserve replaced the Arran Original in mid-2014. The name comes from the village on the Isle of Arran where the distillery is located. Fresh green apples, lemon peels and a hint of milk chocolate. A touch of golden barley and sea breeze too. The salty sea air notes grow slightly on the palate, balanced with plenty of juicy citrus and sweet toffee pennies. Hints of oak spice. Relaxed and creamy on the finish. The entry level single malt whisky from the Arran Distillery, produced with no age statement but still with natural colour, non- chillfiltering and at a substantial 43% ABV. This is Arran single malt at its simplest, selected to highlight the lighter side of maturation effects upon the Arran spirit by master distiller James McTaggart. Very pleasurable dram, a surprise to find a NAS whisky that has clearly been well-matured (no hiding behind added caramel here), initially a little honey and lemon standard NAS fare gives way to some real depth and true Arran distillery character. 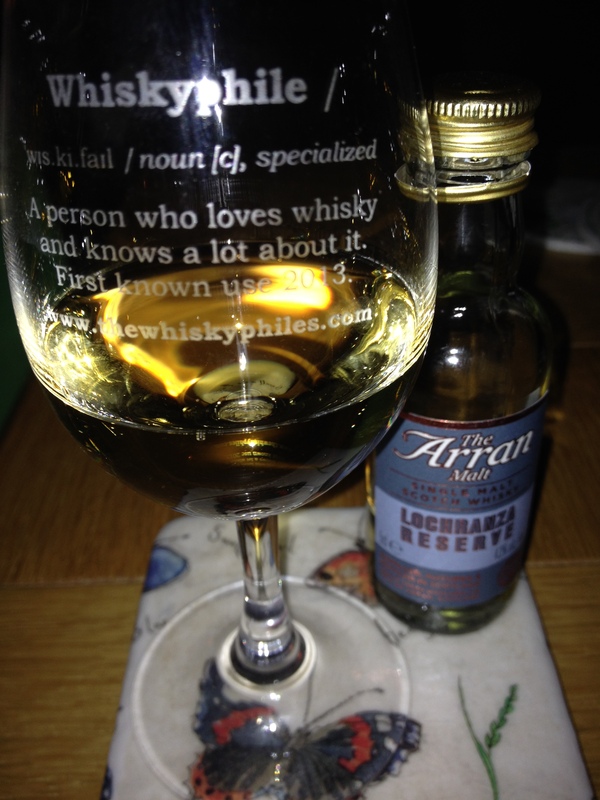 If I were to stock a standard NAS expression, I would be proud to have this one from Arran on my shelf any day.